sabin and i have new biking helmets just in time for spring! 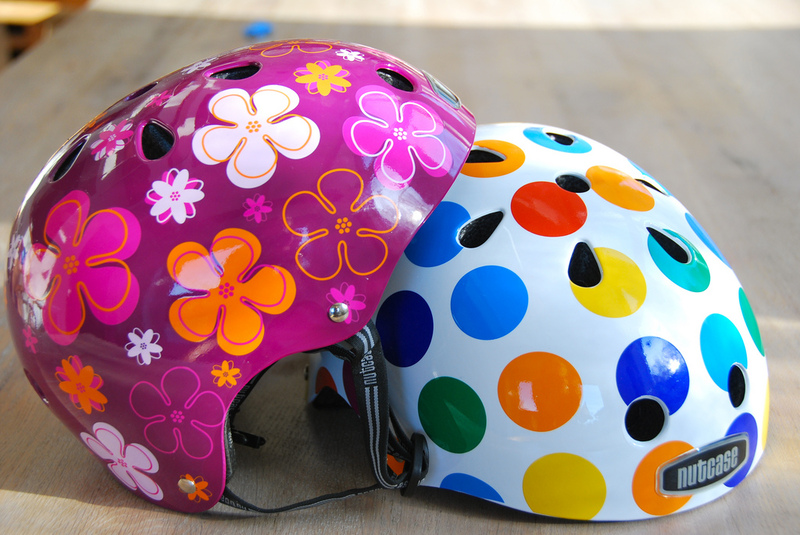 these are so bright and pretty that they almost make it cool to wear a bike helmet! and the brand name – nutcase – fits perfectly! on the back they say, “i love my brain.” isn’t that the coolest?